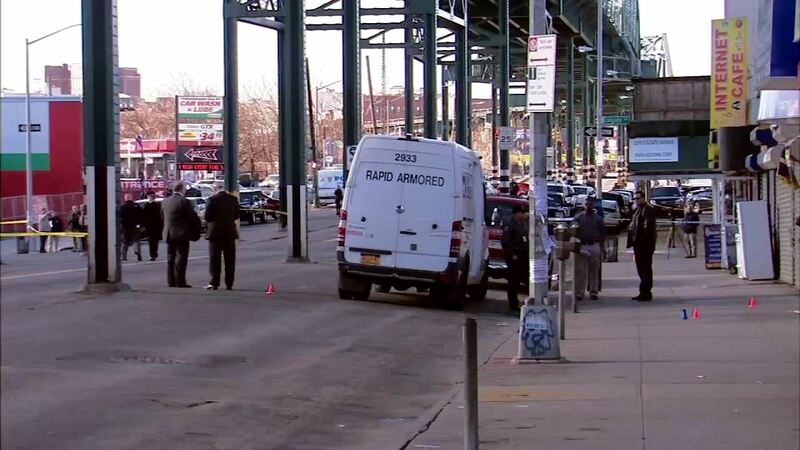 BRONX, New York -- Three men, including a corrections officer, have been charged in a series of daytime armored car robberies in the Bronx, including one in Soundview. Federal officials say the men stole over $100,000 in cash during gunpoint stickups of three armored cars in August and December of last year. One of the robberies led to a shootout on a busy street. Arrested were 29-year-old Michael Santiago, a corrections officer at Downstate Correctional Facility in Fishkill, 34-year-old Kenneth Smith and 20-year-old Bruce Collazo. Officials say Santiago had earlier worked as a driver for one of the armored car companies. The state corrections department says Santiago has been suspended without pay. The three men appeared in federal court in Manhattan Thursday to face conspiracy to commit robbery and weapons charges.